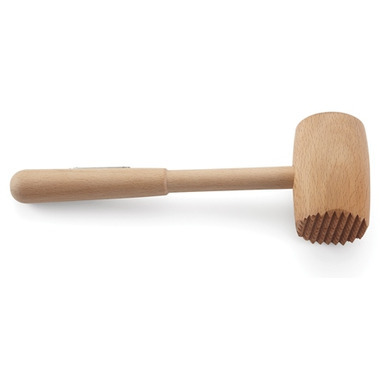 Pick up this Suzie Q Wood Meat Tenderizer and tenderize and flatten practically any type of meat with a smooth side for pounding chicken and veal and a textured side for tenderizing steak and chops. Even tough cuts of meat can be broken down for stewing, braising, and more effective marinating. Tenderizer is weighted for an easy swing.